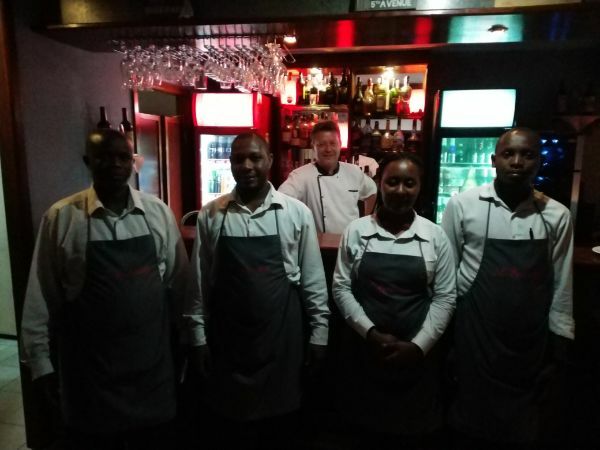 L’Epicurean French restaurant Kigali Rwanda – fabulous! Beautiful private dining rooms in the garden. Free parking quiet friendly. Absolutely the best French food within a hundred miles to Kigali. Olivier the owner and chef is from Lyon France – the heart of gastronomy in the world. His long time and well trained staff speak beautiful English, French and several local African languages. Ostrich, escargot and many other amazing dishes. Great private cabanas or more formal executive dinning experience. Full bar, great French wines. Lovely multicouse meals. Specials every day be sure to get the muscles Oliver has flown in once a month. In a nice quiet residential neighborhood near the city center. Great place for celebrations.